WINSTON-SALEM, NC (April 12, 2019) - A four-run top of the fourth inning made the difference as the Potomac Nationals claimed a 6-3 victory over the Winston-Salem Dash on Friday night at BB&T Ballpark. With Potomac (4-5) already ahead 2-1, Osvaldo Abreu got the fourth started with a leadoff single to left against Dash starter Blake Battenfield (0-1). Omar Meregildo brought Abreu home by cracking a double to deep center field to make it 3-1. Anderson Franco would continue the hit parade with a double to right, bringing home Meregildo. Later in the inning, Aldrem Corredor laced the third double of the frame to right, scoring Franco and Telmito Agustin to make it 6-1. The Nationals also benefitted from a strong start by Jackson Tetreault (2-0), who allowed just one earned run across five innings. For the second consecutive night, the Nationals scored multiple runs in the opening frame. Agustin roped a double to right to bring home Franco. Potomac would add another run in the opening frame with an RBI groundout from Corredor. Trailing 2-0, Winston-Salem (4-5) struck back in the bottom of the third. After Carlos Perez led off the inning with a bloop double, Luis Robert singled home Perez to notch his league-leading 15th RBI and make it 2-1. Despite the loss, Winston-Salem's bullpen was fantastic. Alec Hansen, Codi Heuer and Wyatt Burns tossed five hitless innings to round out the night. The trio also combined for six strikeouts, with Hansen striking out the side in the fifth. The Dash cut into the Potomac lead in the bottom of the seventh, as a Jameson Fisher single scored Perez to make it 6-2. Winston-Salem added another run in the bottom of the eighth as Zach Remillard came home on a wild pitch by Steven Fuentes. But, with Robert representing the tying run in the eighth, Fuentes struck out the superstar prospect to end the threat. 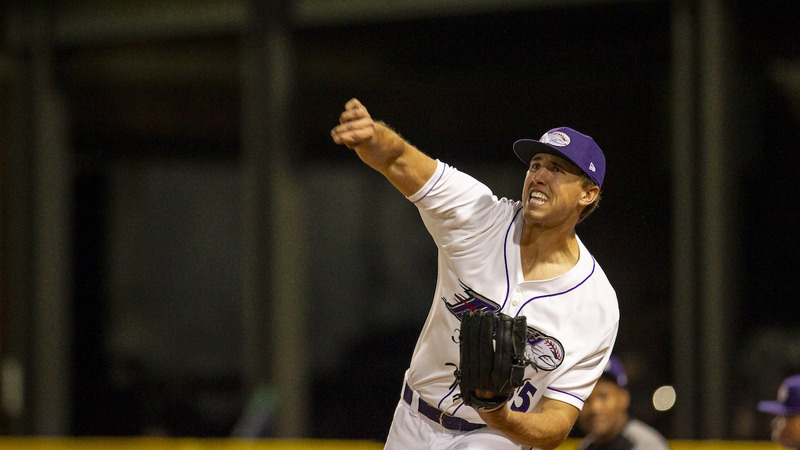 Winston-Salem continues its home series against Potomac on Saturday at 6 p.m. Southpaw Kyle Kubat (0-0, 5.40 ERA) will take the ball for the Dash. He will face off against fellow lefty Nick Raquet (1-0, 3.60 ERA) for Potomac. First pitch is set for 6 p.m., and fans can catch all the action on wsdash.com/broadcast, MiLB.tv and the TuneIn Radio App. Pregame coverage begins at 5:45 p.m.
A Food Truck Festival and a Chick-fil-A Four Pack Night are on deck for Saturday, while a Rayados Day (presented by Univision) and a Craft Fair are on tap for Sunday. For tickets and more information, call the Dash at (336) 714-2287 or visit wsdash.com.